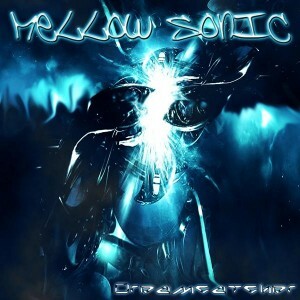 Dreamcatcher is the third release by Mellow Sonic, a multi-genre producer from Germany. Following up on the futuristic full-on and Goa trance of Cosmic Anomaly, this album marks a return to the psychedelic drum ‘n bass stylings of his debut effort, Synthetic Intelligence, now with additional influences from downtempo and psy dub, always with powerful and mysterious science fiction atmospheres and melodies. Mastering, music, and artwork by Sandro K.
MP3 Download | FLAC Download | WAV Download · Download count: 13,075. This is deep!!! Great work, feeling that energy! Your work begin to be really interesting mellow, continu dude, really good. Unique feel, continue, its begin to be rare in this world. This album is excellent! Thank you for producing it. Beautiful. twilight skies is the perfect start for the album.. the other tracks awesome stuff ^^ excellent work. yay another psy dnb release, awesome release thanks ! emm, im not a fan of dnb to be honest, but this stuff is just awesome, drives me crazy, thanks a million!!! ‘Cause the world ain’t that bad after all if you care enough for your own blood born reality, accept and give into the natural born tranquility. Much appreciation for this work of art. Pandora is just crazy good !